Courtesy of HomeLand Realty, Lori Tims. Just In Time For Summer! Here is a great three bedroom, two bath metal home. Nice details include metal ceilings, exposed beams, open concept & a loft. Master with walk in closet, dual vanities. Covered front porch adds the home feel to this one. Back deck, covered entertainment area by the above ground pool for outdoor fun. Double carport with storage. All this on 1 acre at the edge of town. 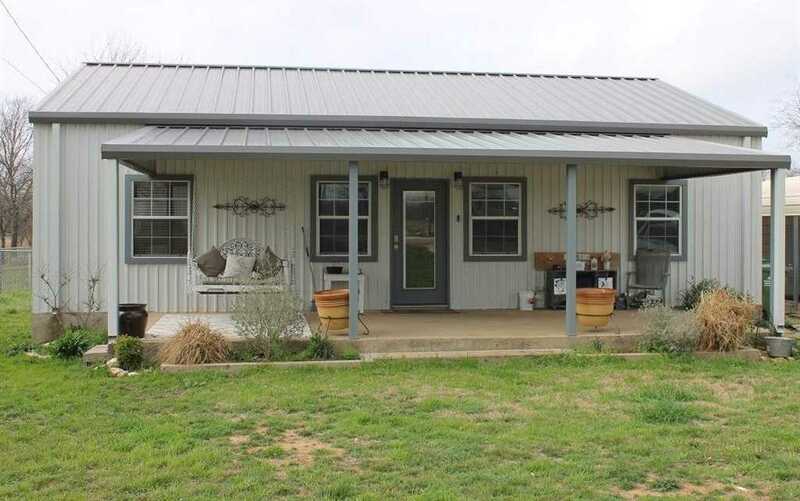 Please, send me more information on this property: MLS# 14017299 – $189,900 – 146 Hcr 2129, Whitney, TX 76692. I would like to schedule a private showing for this property: MLS# 14017299 – $189,900 – 146 Hcr 2129, Whitney, TX 76692.